The Protestant Reformers were men of unbending principle. They were men of unyielding conviction. These men fought relentlessly for the truth. Some of the battle took place privately as godly men wrote books and treatises, which magnified the mighty work of the gospel. The story is well-known about how Frederick the Wise arranged to have Martin Luther “kidnapped” and secretly transported from the city of Worms to the Wartburg castle where the Protestant Reformer would spend the next ten months in seclusion. These days were spent largely in isolation under the pseudonym, Junker Jörg. Luther made good use of his time at Wartburg, translating the Greek New Testament into German, the language of the people. Leather spent hour after hour, laboring over the text and translating God’s Word for the common man. Soon, thousands of people would read the Word of God in their mother tongue for the first time. They would hear the Word of God thunder from the pulpit in their heart language. After his brief stop in Wartburg, Luther made his way back to Wittenberg where his reformation efforts continued. Indeed, the Reformation tides continued to swell as the Word of God grew and people were transformed by God’s Spirit. For more on this topic, see David Steele’s new book, Bold Reformer: Celebrating the Gospel-Centered Convictions of Martin Luther. Dr. David Steele is the Senior Pastor at Christ Fellowship in Everson, Washington. Reformation Thought: An Introduction by Alistair McGrath explores the fascinating contours of the sixteenth century. The author helps readers understand the historical, cultural, and theological context of the events that led up the Protestant Reformation. McGrath guides readers on a fascinating Reformation tour and overviews key areas such as justification by faith, predestination, Scripture, and the sacraments. There is much to commend about this excellent work. Pastors, students, and theologians will greatly benefit from McGrath’s work. Today, you will have an opportunity to pick up Stephen Nichol’s excellent book, Martin Luther: A Guided Tour of His Life and Thought (2002) for $1.99. The Protestant Reformers were men of unbending principle. They were men of unyielding conviction. These men fought relentlessly for the truth. Some of the battle took place privately as godly men wrote books and treatises, which magnified the mighty work of the gospel. Much of the battle, however, took place in public as the reformers made their bold ascent into the pulpit. Lines were drawn, the Word of God was declared, and lives were forever changed. Oh, that we would recover the spirit of the Protestant Reformers in our day. May our pulpits reflect the great truths that Luther boldly proclaimed. May the great Name of Jesus be exalted in our generation. Bold Reformer is born out of personal pastoral turmoil and inspired by the courage of Martin Luther. My hope is that many pastors, Christian leaders and Christ-followers will be encouraged as a result of reading this book; that God will propel them into the future by his grace and for his glory. God’s Glory Alone – The Majestic Heart of Christian Faith and Life is the second title in the 5 Solas Series. 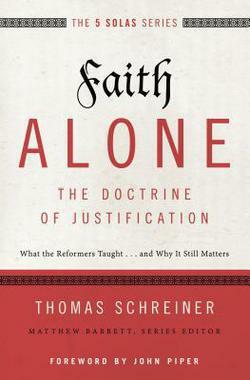 The first volume by Thomas Schreiner, Faith Alone: The Doctrine of Justification walked readers through this important doctrine which was rediscovered in the sixteenth century. The latest installment is penned by David Vandrunen, professor of Systematic Theology and Christian Ethics at Westminster Theological Seminary in Escondido, California. Part two, The Glory of God in Scripture is a tour of redemptive history which presents the glory of God in both testaments and also includes a section the describes the glory of Christ in the glorification of his people. Part three, Living for God’s Glory Today includes practical application which is an overflow of the first two sections. 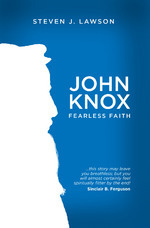 The author presents chapters that discuss prayer, worship, and the fear of the Lord. Vandrunen’s work is welcome addition to the 5 Solas Series and is sure to serve pastors, theologians, and Christ-followers well, especially as we near the 500th year anniversary of the Protestant Reformation. Faith Alone by Thomas Schreiner is much-needed treatment of the doctrine which was rediscovered during the days of the Protestant Reformation, namely, justification by faith alone. The author makes it plain from the beginning that he does not intend to offer a comprehensive treatment of this doctrine. Rather, he guides readers through a tour of the doctrine of justification. The contours of this fascinating tour are informed by history, theology, and biblical/exegetical arguments. Dr. Schreiner is unique among theologians as he fairly represents opposing positions and graciously refutes them. His stance toward Rome, in particular, is refreshing and sure to pose a challenge to Roman Catholic thought. Despite the gracious intent of the author, his arguments are robust and biblical. His allegiance to the Sola Scriptura principle is evident throughout and his love for the doctrine of justification by faith alone is clear. I commend this work highly and expect it shall receive a wide reading. He was an Augustinian monk, transformed by the sovereign grace of God. His newly regenerated heart beat with passion for Jesus. His mind was devoted to the sacred Scripture. This former Roman Catholic turned Protestant rebel was mightily used by God to influence a nation and eventually the whole world for the sake of Christ’s gospel. 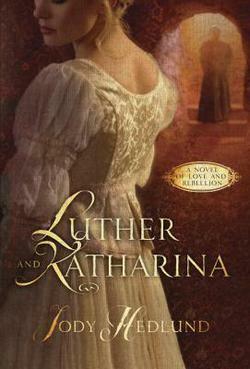 But one of the key themes in Luther’s life was the other love of his life, Katherina Von Bora. This fascinating love story emerges in Jody Hedlund’s new book, Luther and Katharina. This work of historical fiction captures the pathos of a woman who left the “safe” confines of the abbey. Safety was a relative term in the 16th century abbey, since the Roman Catholic church was plagued by corruption, heresy, abuse, and sexual sin. Luther and Katharina underscores the heavy works-based orientation among the faithful. At one point in the story, one of the former nuns asks with chagrin, “Do you ever wonder if we should have stayed?” “What if God is displeased with us? What if He’s punishing us for forsaking our vows?” She continues, “What if we’ve thrown away our best chance at salvation.” Such a sentiment not only characterized the church in the 16th century. It is still a part of the warp and woof of the Roman works-based system. Additionally, the book captures the tension between genders in a 16th century context. The author does a formidable job of fairly representing a male dominated culture, “without horns and without teeth,” as Luther might say. Hedlund is a colorful writer, with an ability to turn a phrase and guide the imagination of the reader in the right direction. She demonstrates a good working knowledge of Reformation culture, including the priesthood of believers, cardinal doctrines such as justification by faith, and the repudiation of celibacy. Luther and Katharina is a terrific historical read designed to awaken a thirst for authentic relationships which are grounded in gospel reality. Martin Luther was one of the bright shining stars of the 16th centuries who God used to restore reason to the church and recover the gospel of Jesus Christ. Carl R. Trueman unpacks the Protestant Reformer in his latest work, Luther on the Christian Life. 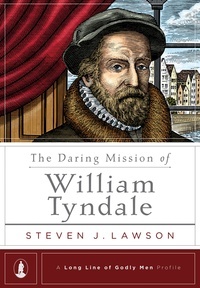 The book is a balanced blend of biography, Reformation history, and theology. Beginners and seasoned students of Luther will all benefit from Trueman’s work. While each chapter is a worthy read, the fifth chapter, Living By the Word will be the focus of this review. The author does a magnificent job of drawing Luther’s love for the Bible in these pages. But he demonstrates how important the Holy Spirit was in Luther’s life and theological framework: “For Luther, the Spirit is only given with the external word.” Indeed, the Spirit of God uses the Word of God to transform the people of God. Eliminate the Spirit and the result is a dry rationalism. Remove the Word and the result is a subjective train wreck. Luther stressed the importance of both the Word and the Spirit. The very essence of being a theologian of the cross is that one sees God’s strength as manifested in weakness. The primary significance of that is the incarnation and the cross. God’s means for overcoming sin and crushing death are the humiliation of his Son, hidden in human flesh. Nevertheless, the cross also has a certain paradigmatic aspect to it, for it indicates that God does his proper work through his alien work. Carl Trueman offers a carefully thought out treatment of Luther, which includes both triumphs and tragedies. The reader can determine which issues merit further studies. 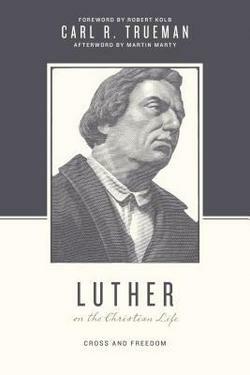 Luther and the Christian Life is a fine contribution to the growing work on the German Reformer.